Datuk Dr Zulkifli Ismail is a consultant paediatrician and a paediatric cardiologist in KPJ Selangor Specialist Hospital and a visiting Paediatric Cardiologist in Damansara Specialist Hospital. He was formerly a Professor of Paediatrics and Paediatric Cardiology in Universiti Kebangsaan Malaysia (UKM). He has also served as the Head of Paediatrics Department and Director of Hospital Universiti Kebangsaan Malaysia (HUKM). He was the Past President of the Malaysian Paediatric Association (MPA), is also Chairman of the Positive Parenting Programme, Malaysia’s expert educational programme for parents on maternal, child & family care, initiated by Malaysian Paediatric Association. Since the establishment of Positive Parenting in 2000, Datuk Dr Zulkifli has also been serving as the Editor for the Positive Parenting Guide, a quarterly publication aimed to equip Malaysian parents with reliable, practical information on maternal, child and family care. He is currently the Editor for Berita MPA, a quarterly MPA newsletter publication, dedicated to fellow members of the association. 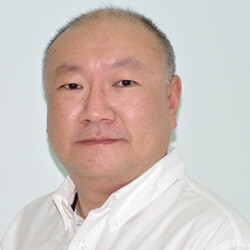 He is the current President of the Asia Pacific Pediatric Association (APPA). Datuk Dr Zulkifli Ismail is also a member of the Ministry of Health Unrelated Transplant Approval Committee and a Board member of the National Population & Family Development Board (LPPKN) Malaysia. He has more than 35 peer-reviewed publications, numerous abstracts and presentations, authored or co-authored 4 books, and numerous lay-public articles in mainstream media. He is a serious advocate for childhood vaccination and injury prevention, issues that he makes clear in his articles. In 2008, he was conferred the Panglima Mahkota Wilayah award from the Malaysian King that carries the honorific title of 'Datuk'. M.B.B.Ch. (Wales) M.R.C.P. (UK), F.R.C.P (Edin) F.R.C.P.CH (UK), F.A.M.M. A 1982 graduate of Cardiff University (UK), he obtained his Membership from the Royal College of Physician (UK) in 1985. He is a Fellow of the Royal College of Physicians Edinburgh, Royal College of Paediatrics and Child Health (UK) and the Academy of Medicine Malaysia. He served the Ministry of Health for 15 years from 1982 to 1997. Since 1997, he has been a consultant paediatrician and neonatologist at Damansara Specialist Hospital. 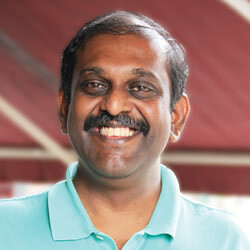 He is an Adjunct Professor of Paediatrics at the Cyberjaya University College of Medical Sciences. Since 1999, he has served on various international advisory boards related to vaccines and immunisation. 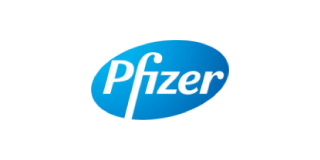 He is a founding member of the Asian Strategic Alliance on the Prevention of Pneumococcal Disease (ASAP). Currently, he serves on the Asia Pacific Expert Committee on Immunisation, Asia Pacific COMPAS Advisory Board, Asia Pacific PCV Expert Academy and Asia Pneumococcal Advisory Board. Dr Musa previously served on the editorial board of the Malaysian Journal of Paediatrics & Child Health. He presently sits on the editorial boards of MIMS Paediatrics and FIMA Yearbook. He has published numerous articles in peer reviewed journals and has contributed chapters to 9 book publications. Most recently, he contributed 8 chapters to Elsevier’s “Care of Muslim Patients-A Practical Guide”. He is a board member of the National Neonatology Accreditation Board, Board of Governance, Malaysian National Neonatal Registry and serves on several National Committees in the Ministry of Health (MOH) and Malaysian Medical Council. He recently completed 2 terms (4 years) as president of the international Federation of Islamic Medical Associations (FIMA). During his presidency, FIMA Save Vision (FSV), was awarded for excellence in charitable & humanitarian works, the Richard & Hinda Rosenthal Award, by the American College of Physicians, in 2008. He is the past-president of the Perinatal Society of Malaysia and has been treasurer of the Malaysian Paediatric Association since 1992. He is the founding chairman of two Charity Homes which shelters women and children with HIV/AIDS. In 2008, he was conferred the medal “Darjah Paduka Mahkota Perak” (DPMP) by HRH The Sultan of Perak, which carries the title Dato’. 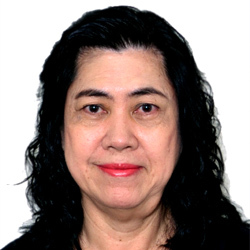 Dr Mary Joseph Marret is an Associate Professor at the Faculty of Medicine, University of Malaya and consultant paediatrician at the University of Malaya Medical Centre. Her clinical practice as a paediatrician spans across twenty years. She is also involved in medical education with experience in teaching, organization of curriculum and conducting assessments at both undergraduate and postgraduate level. She has clinical and research interests in child development as well as issues which impact on the wellbeing, safety and protection of children. She has written and reviewed academic papers for peer-reviewed journals and presented papers at several local and international conferences. She has also conducted training courses on child protection for professionals in the field of health care and social work. On behalf of the Malaysian Paediatric Association and Positive Parenting magazine, she has contributed a number of articles for public education in magazines and the mainstream media. Dr. Rajini Sarvananthan is a Consultant Developmental Paediatrician at ParkCity Medical Centre and Baby and Beyond Child Specialist Clinic and a Visiting Consultant at University Malaya Medical Centre. 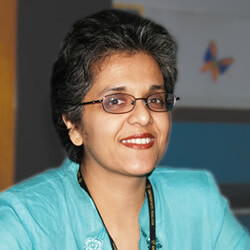 Dr. Rajini graduated from the University of Newcastle Upon Tyne, United Kingdom in 1993. She subsequently trained in Paediatrics in 1994. Having obtained her Membership of the Royal College of Physicians in the area of Paediatrics in 1996, she further sub-specialized in the area of Neuro Disability/Developmental Paediatrics in the United Kingdom. During this time, she also pursued her Masters in Medical Science in Child Health. Dr. Rajini returned to Malaysia in the year 2003 where she joined Universiti Kebangsasan Malaysia (UKM) as a Lecturer in Paediatrics. Together with a team of Developmental Paediatrics, Clinical Psychologists and other Allied Health Professionals, she was involved in starting the Child Development Centre at UKM Medical Centre, the first such Centre in Malaysia during the time. 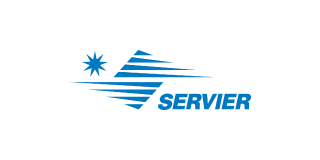 She subsequently joined SunMed to work together with the team of allied health professionals already established here to provide a holistic service for children with developmental disabilities and in the SunMed S.H.I.N.E. Program, an Early Intervention Program for children from 0 to 3 years old with developmental disabilities. She moved on to Park City Medical Centre, which has plans to establish Child Development services in the near future. 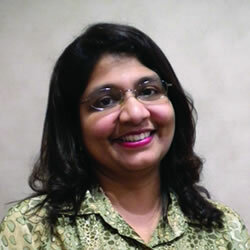 Dr. Rajini has a particular interest in preschool children with developmental disabilities. She has been involved in research in the outcome of extremely/very low birth weight babies and neonates with persistent pulmonary hypertension, use of developmental screening tools (comparing parental report vs screening administered by a paediatrician) in the local setting and children with other sensory impairment. Dr. Rajini represents the subspecialty of Developmental Paediatrics as a co-opted Member of the Specialty Sub-Committee of Paediatrics, National Specialists Register in Malaysia. She was previously a Committee Member of the Chapter of Child Neurology and Developmental Paediatrics, under the umbrella of the Malaysian Society of Neurosciences and remains active in the Chapter now. 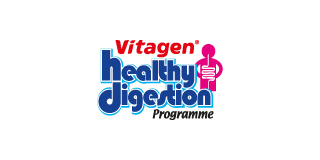 Dr Tee E Siong is President of the Nutrition Society of Malaysia (NSM) since 1996. In this capacity, he has led the implementation of various community nutrition promotion programmes which included the publication of various education booklets and press articles. He is also Chair of the National Steering Committee for Nutrition Month Malaysia since 2002. He represents NSM in several Technical Working Groups in the Ministry of Health Malaysia, including the National Coordinating Committee for Food and Nutrition (NCCFN) and the Technical Working Group for Nutritional Guidelines. 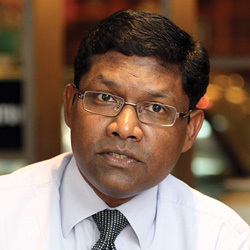 He was Advisor to the Food Safety and Quality Division of the Ministry of Health Malaysia from 2002 till 2011, and in that capacity, was Chair person/member of several sub-committees related to food regulations and Codex Alimentarius. Dr Tee is also a member of the Board of Scientific Directors of the International Life Sciences Institute (ILSI) (Southeast Asia Region). Dr Tee was Head of the Cardiovascular, Diabetes and Nutrition Research Centre of the Institute for Medical Research (IMR) until his retirement in February 2002, after serving for 30 years. 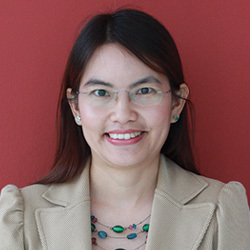 Dr Roseline Yap, PhD is a Senior Lecturer for School of Biosciences at Taylor’s University, Malaysia. She received her Bachelor of Science in Dietetics and Master of Science in Nutrition and Food Science from University of Kentucky, USA. She further obtained her PhD in Nutrition from University of Nagasaki, Japan. She started her career as an academic since 2005 teaching nutrition-related modules and supervising final year projects for undergraduate students. Dr. Yap’s research interests are directed toward public health nutrition and nutritional epidemiology with the emphasis on dietary patterns, food consumption and lifestyle, and incorporation of nutrigenetics in diet-related chronic diseases. 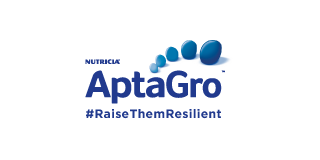 She has received various international academic honors and awards and has publications as conference proceedings, peer-reviewed papers in major nutrition-related journals and book chapters. Besides being an academic, Roseline is also the Council Member of the Nutrition Society of Malaysia (NSM) since 2012. Her passion is in the field of community nutrition hence she serves as an expert committee in NSM projects such as Nutrition Month Malaysia and for the following educational materials: ‘Healthy Cooking with Oats. Recipes from Southeast Asia’; ‘Whole Grains are Wholesome’; and ‘Eat Right, Grow Right. The Guide to Growing Right’. Dr Yen Teck Hoe received his M.D. in 1992 from the Universiti Kebangsaan Malaysia (UKM). He subsequently completed his postgraduate training at the Psychological Medicine Department, University of Malaya in 1999. After completed his postgraduate training, he served as a lecturer and psychiatrist in Faculty of Medicine, University of Malaya. His interests centred on psychopharmacology, psychiatric assessments, Christian-based counselling and sleep disorders. He is currently involved as a consultant and an advisor to governmental organizations, non-governmental organization, pharmaceutical industries, media and colleges. While his focus is on maintaining good medical practicing standards, he also reinforces his belief in good mental health through public education. 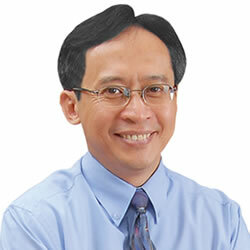 Dr Yen was the past president of Malaysian Psychiatric Association and has a private practice in Kuala Lumpur. After basic medical degree, Dr Swamenathan pursued and graduated with MASTER OF PSYCHOLOGICAL MEDICINE in 1992 from University Malaya. He worked with government hospital for 24 years prior to his optional retirement in 2006, where he was a Consultant Psychiatrist and HOD, Department of Psychiatry, Hospital Melaka. Currently he is Deputy Dean, Associate Professor of Psychiatry & Head, Department of Psychiatry, Melaka Manipal Medical College, Melaka. As an academician, he is involved in research of his specialty and has published a number of papers locally and internationally. He has also written a book in Psychiatry for undergraduate medical students and written a chapter on Ethics in Psychiatry in the book Medical Ethics for Students. He is also very active outside of his academic position. He is a member of a number of Malaysian/ International academic bodies and holds a number of honorary appointments in and around Melaka that include Visiting consultant psychiatrist to PETRONAS in Sungai Udang, Melaka for crisis intervention, Consultant Befrienders Melaka, Chairman BOV to the Department of Psychiatry, Hospital Melaka and member of BOV to Pusat Serenti, Tiang Dua, Melaka. He is the current Chairman for Malaysian Medical Association, Melaka Branch. He is a guest lecturer and speaker on numerous occasions, organized by various bodies, NGO including such as RTM and ASTRO on topics as wide as work culture, Quality Assurance, parenting, stress management, drug addiction and he has spoken to audiences in PETRONAS OPUs. For his active participation and contribution to society, he has received various awards, recognitions, letters of appreciation from Governor, institutions, NGOs and government agencies, the latest being Darjah Seri Melaka (DSM) by Governor of Melaka in 2009. 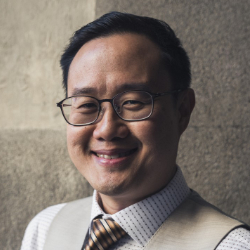 Associate Professor Dr. Alvin Ng Lai Oon obtained his Bachelor of Arts from University of Western Australia, Bachelor of Psychology and Doctor of Psychology (Clinical) from Murdoch University. Dr. Ng also trained as a clinical psychologist specialising in behaviour modification, autism management, and behaviour fluency with interest in depression and anxiety disorders. Before joining Sunway University, he was previously an associate professor and Head of the Health Psychology Program at Universiti Kebangsaan Malaysia where he served for 11 years since 2002. At UKM, he also practised as a clinical psychologist the Health Psychology Clinic seeing adult as well as children clients. Dr. Ng was also the Director of Shine Guidance Centre in 2012, where he oversaw centre operations and was a clinical consultant for families living with special needs. His research interests include mindfulness-based cognitive therapy, cross-cultural factors in psychotherapy, psychometric measurements of mental illness in Malaysia, and behavioral fluency training in basic academic skills. He has published in journals, magazines and presented in numerous conferences, seminars, trainings and public talks. Dr. Ng has also published a book called “Teaching Children Handling Study Stress” (TC Publishing, 2004). Besides academia and clinical practice, Dr. Ng is instrumental in advancing the field of clinical psychology in Malaysia, and was the Founding President of the Malaysian Society of Clinical Psychology that he helped establish in 2010. Dr Andrew Mohanraj served the Ministry of Health Malaysia for 12 years before taking up an international assignment after the Asian Tsunami of 2004. His has done pioneering work in the establishment of sustainable psychosocial rehabilitation services in Indonesia, The Philippines and Timor Leste. In 2012, Dr. Andrew Mohanraj returned to Malaysia under the Return of the Expert Programme by Talent Corporation, a unit under the purview of the Prime Minister’s Department. He subsequently joined Perdana University Graduate School of Medicine as Associate Professor in Psychiatry. Besides his continuing consultative work for the World Health Organization and other international government and non-government organisations , Dr Mohanraj is also a member of the Mental Health Promotion Advisory Council to the Minister of Health Malaysia. In 2013, in recognition of Dr. Andrew Mohanraj’s international work in the promotion of the United Nations Convention on the Rights of Persons with Disabilities (UNCRPD), he was appointed as a member of the National Council for Persons with Disabilities. He is also actively involved in the mainstreaming of mental health issues as the President of the Malaysian Mental Health Association. Dr Krishna Kumar is a senior consultant, Head of Maternal Foetal Medicine Unit and Head of Department in Hospital Tuanku Ja’afar Seremban. He is currently the President elect of MMA and has been active since the nineties, the Past President of OGSM, and has also worked at various levels including as a consultant in the UK and obtained his fellowship from the RCOG. 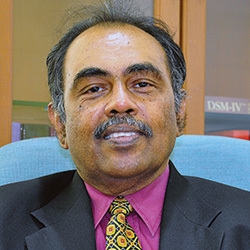 He is the Honorary Lecturer of International Medical University (from April 2001), Melaka Manipal University (from 1999) and taught in various local universities, and examiner for International Medical University (from August 2001) and Malaysian Midwifery Board (April 2001). He is the facilitator, lecturer, and supervisor of RCOG – OGSM – MOH Life Saving Skills course since 2008, content provider for postgraduate training in Obstetrics & Gynaecology (O&G) under the national ‘Telehealth’ project, and has organized numerous continuous medical education projects on behalf of the Malaysian Medical Association (Negeri Sembilan branch). He is also the committee member for content provision in the MyHis programme in the Ministry of Health from year 2012. 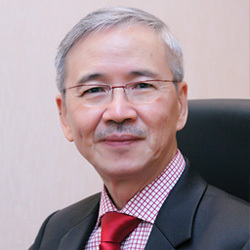 He has attended many courses and conferences on O&G, and even been invited to speak at talks such as “Why Mothers Die” and “A GP talk on Maternal Mortality in the United Kingdom” in Harold Wood Hospital England, and also for various speaking engagements and organised various O&G related courses around Malaysia. In 2004, he obtained a certificate in medical complication in pregnancy from the Imperial College, London, and the following year, he gave lessons to the GP Registrars, Epsom General Hospital, United Kingdom. 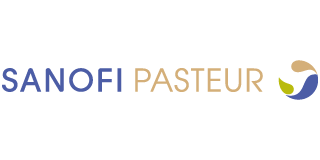 He has published more than 15 free papers and publications on pregnancy and O&G, including topics such as “Breathlessness in Pregnancy” and “Chest Pain in Pregnancy” (appearing in the Oxford Handbook of Emergency in Obstetrics and Gynaecology, 2007). In 2004, he was awarded with the title Ahli Setia Negeri Sembilan. 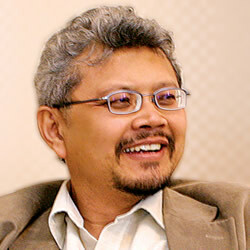 In 2005, he was noted in People at the Peak – The Who’s Who of Malaysia and was nominated twice for the Glory of India award in India in 2002 and 2006. The National Population and Family Development Board (NPFDB), Malaysia is a government statutory body under the Ministry of Women, Family and Community Development. 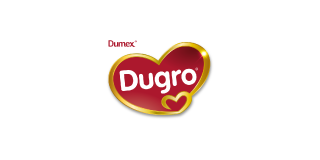 It was established in 1966 under the Population and Family Development Act 1966 (Act 352). The Ministry has mandated that the NPFDB to be the lead agency in the areas of population, family development and human reproduction. Towards realization of its vision as the centre of excellence in population and family development activities, more focus are targeted on research, programme development, training and engaging cooperation at national and international level. 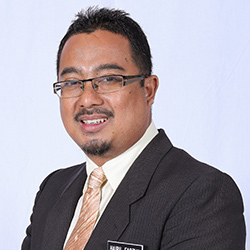 Hairil Fadzly Bin Md Akir is currently serving the National Population and Family Development Board, Malaysia as Deputy Director General (Policy). He has 17 years of experiences in family development and family perspectives initiatives. He involved in development of family development modules, studies on family demography and family impact assessment of national family policy in Malaysia. His hobbies or interests are cycling and fusion cooking. He is married and a father of five young children. Norsheila Abdullah has 28 years of experience in the field of childcare. She is very active in voluntary works involving women, children and youth. 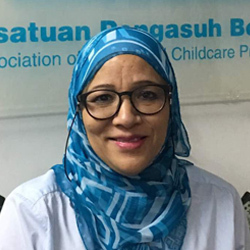 Ms. Norsheila started her stints in non-governmental organisations since 1989 and has been with the Association of Registered Childcare Providers Malaysia (Persatuan Pengasuh Berdaftar Malaysia, PPBM) since 1990. She was conferred with Ahli Mangku Negara (A.M.N) in June 2010 by the Yang Di-Pertuan Agong XIII Al-Wathiqu Billah Tuanku Mizan Zainal Abidin Ibni Al-Marhum Sultan Mahmud Al-Muktafi Billah Shah. Currently, she is the President of PPBM for the second time (2017-2019). Recently, she has also been appointed as the Board Member in Panel Penilai PERMATA Q, the Chairperson of Pasukan Pelindungan Kanak-Kanak Daerah Petaling, and the Advisor of Children Court in Selangor state. She was also the Vice-President of PPBM for the term 2009-2011, and the Honorary Secretary of PPBM for four terms (1995-1997, 1997-1999, 1999-2001, and 2003-2004). She also served as the Vice-President and Honorary Treasurer of Persatuan TASKA Negeri Selangor (PTNS) from 1994 to 1997, and the Assistant Secretary with the Malaysian Council for Children Welfare from 1994 to 1998. Ms. Norsheila has been a trainer with the TASKA Unit of the Social and Welfare Department since 1996 until now. She is also a trainer of PERMATA in Early Childhood Education since the programme was introduced by Datin Seri Rosmah Mansor. She was also a part of the committee of the organisation during the formation of PERMATA. She was also appointed as the trainer for the Youth Programme under the Permata Kasih modules at the National Population and Family Development Board from 1994 to 1998. She also attended several courses and workshops related to assignments in non-governmental organisations, e.g. tele-counselling at the Red Crescent Society of Malaysia from 1994 to 1999. She worked as a legal secretary for 14 years. Then, she joined Dato’ Azalina Othman, the former Head of Puteri UMNO Malaysia as the Special Political Officer for four years. With the Legal Unit at the Bureau of Civil Action of UMNO Malaysia, she held the post as the Coordinator for three years in assisting with the issues pertaining to civil law as well as syariah law. An Early Childhood and Music Educator, with a Master Degree in Education, Licentiate of the Royal School of Music, London and Trinity College of Music, London. She lectures and conducts workshops and seminars in Early Childhood Education and in Music, Singing, Percussion, Dances and Music & Movements at Early Childhood Organizations, locally and internationally since 1977, namely the Skills Training Courses at the Kindergarten Association, Malaysia (Persatuan Tadika Malaysia) as well as performs with the Penang Philharmonic and Kuala Lumpur Symphony Orchestra. She was on the curriculum panel of Curriculum Development Center, Ministry of Education since 1998 formulating the music section of the Garis Panduan and was involved with BPK (CDC) in the training packaging, training of trainers on the implementation of the National Preschool Curriculum (NPC) and the National Preschool Curriculum Standards, (KSPK). She has at least over 30 years of teaching experience in preschools including, the UNHCR Myanmar Learning Center. Has started preschool work in rural Sarawak covering 25 villages, since 2013 and has been providing Lab training to teachers there as well as in Jakarta, Cambodia and Myanmar. She is currently serving as the President of the Association of Professional Early Childhood Educators, Malaysia, (MAPECE) as well as the Chairman of Persatuan Tadika Malaysia (PTM).